Tonight ﻿Blue Bloods﻿ makes its season premiere on CBS. The show about a family with a lineage in public service is entering its third season and while the story line of the show is interesting enough to keep viewers attention, it also boasts what is arguable the best dining room on TV. Tonight Blue Bloods makes its season premiere on CBS. The show about a family with a lineage in public service is entering its third season and while the story line of the show is interesting enough to keep viewers attention, it also boasts what is arguable the best dining room on TV. The home of New York City police commissioner, Frank Reagan, is located on Harbor View Terrace in Bay Ridge, Brooklyn. The exterior shots of the home are of an actual residence in Bay Ridge, but the interior shots are done on a sound stage in Greenpoint, Brooklyn. Even though the set is fictional, Blue Bloods actually portrays one of the most realistic dining rooms you’ll see on TV. The design of the dining room is very classic. Gorgeous wood paneling on the walls with polished hardwood floors and touches of a home that’s been around a while like the classic floral curtains on the windows and the large banquet-sized table in the center. The decor and layout of the dining room is classic, but what truly make it better than any other dining room on TV is what unfolds in this room. One of the marquee elements of the show is that in every episode the entire Reagan family gets together. The 9 members of the Reagan family have Sunday dinner together and hash out the problems of the world, the family and perhaps even a bit of arguing. Okay, a lot of arguing. It’s an ode to a time gone by when this was the common thing to do. 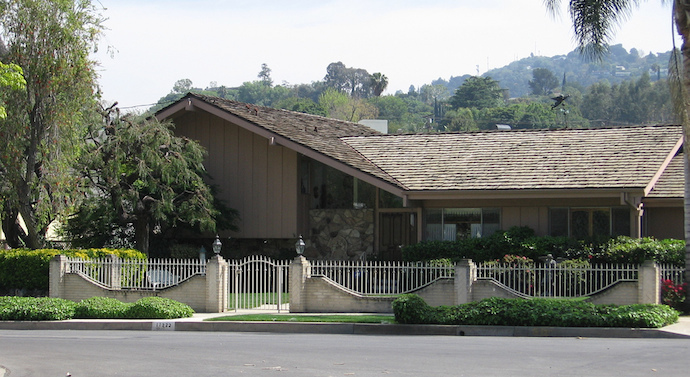 Now with our schedules, activities, work hours and internet-connected devices, the Reagan home may feel a little out of touch. But the contrary should be the case. For a few moments while relaxing and watching TV, I hope you’re transported back to some memories of classic dinners and get togethers at your own home. Whether it was in a beautifully showcased dining room like the Reagans or not, it’s hard not to relate to some of the family banter that happens on a weekly basis on Blue Bloods. For more details on the Reagan home from Blue Bloods, check out this feature from Designer Dad who has a fantastic post on all the details put into the Reagan home. Enjoy the premiere of Blue Bloods tonight at 10 pm EST on CBS. If you couldn’t tell already, we kind of like Tom Selleck. Images courtesy of Designer Dad, jeffreylimbauan.com, and TravelSizeMom. 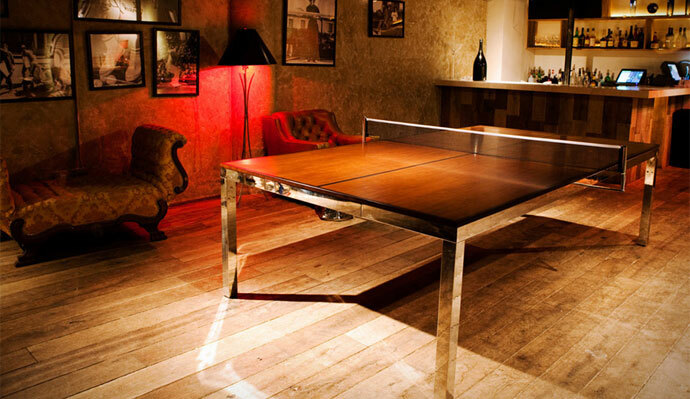 In the middle of a nice dinner with friends, haven't you ever just wanted to clear the table and throw down with a game of ping pong? Of course you have. Well now you can actually do it in style.